This post isn’t about the types of colorants. Rather, I’m going to share my tips for coloring cold process soap. If you are new to soapmaking, or just curious, these tips will help you avoid the pitfalls that an inexperienced, albeit eager, soaper like myself made! It can be tempting to color a soap based on your favorite colors, but that doesn’t necessarily mean those colors will work together. A rudimentary understanding of color theory is helpful when choosing colors for your soap. I’m no expert, but just learning a few basic principles has made a world of difference in my soap coloring endeavors! Of course, you don’t need the color wheel to understand color – just walk outside. You can get a lot of inspiration from looking at the world around you. Think about your favorite flower, animal, or even vacation spot. These things have beautiful color schemes that are harmonious and balanced. Coloring soap is way more fun once you understand why and how color works! For a simple explanation of color theory check out colormatters.com. The color of the soap base will greatly affect the final color. For example, if you make an olive oil soap the base will be green. That means any color you add will get tinted green. If you want colors to stay true, use light colored oils/butters in your recipe. Liquids other than water (milk, beer, etc.) will also affect the base color. Sometimes, depending on the liquid used, it can start out as a dark base but then cure to a light color and vice versa- you just never know! Initially the soap was light colored, but darkened over time. The orange swirl is all but lost in this beer soap. Fragrances can alter the color of your soap, and vanilla is the worst! The higher the amount of vanilla, the darker the soap will turn. Most fragrance distributors will include a description of the fragrance as well as reviews. Take time to read these. Some distributors sell a color stabilizer that will help keep the soap from turning brown, but I’ve never tried them. You can either avoid fragrances that will discolor your soap, or you can make it work for you. 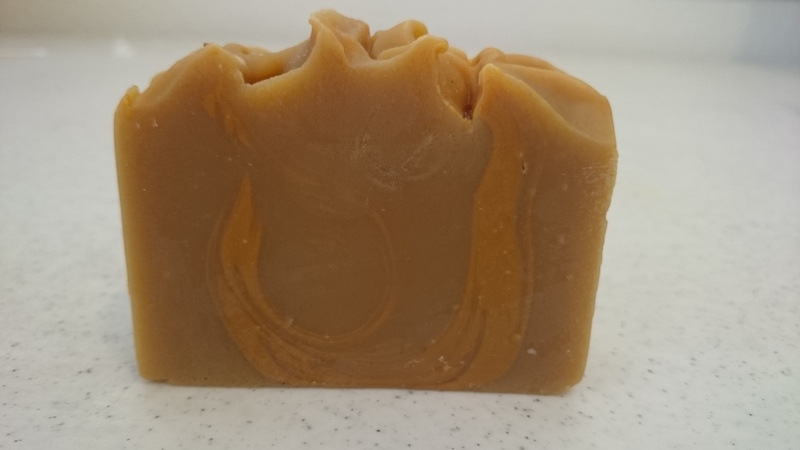 When I use a vanilla fragrance, I first set aside some soap and then add the fragrance to the remaining soap. Then, I go back and swirl in the fragrance free soap. The end result is a lovely white swirl and nice contrast! 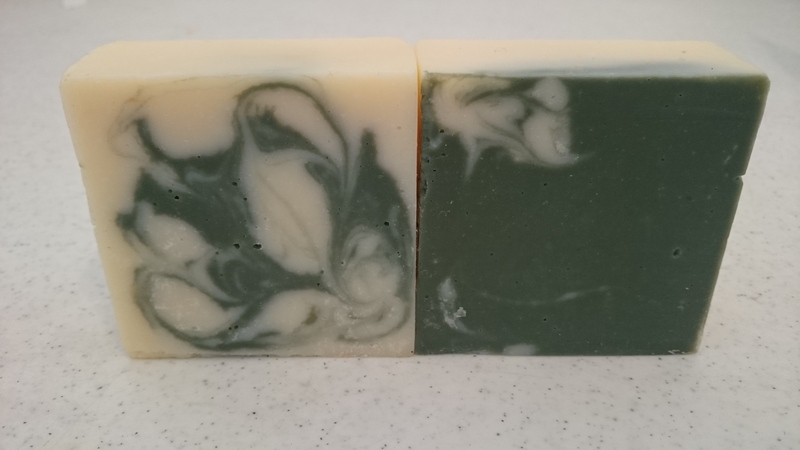 I’ve used a variety of essential oils in soap and have noticed that dark and citrus oils can slightly tint the soap, but not enough to make a huge difference. However, this can differ vastly depending on the quantity used. Fragrances and essential oils can be expensive, so test them out first before you add it to the soap if you’re unsure. When I first started working with color, I wanted to do 5 or 6 swirls right out the gate. That’s all well and good if you have experience, but for me it just turned into a mess. Sometimes the soap would set before I could finish. I’ve learned to keep it simple and just add one or two color swirls. Less is more. 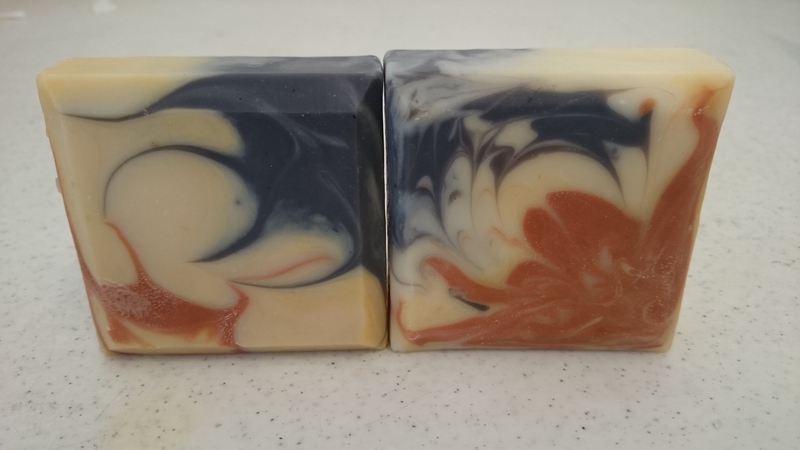 One color swirl makes this soap pop! The first time I used color in my soap, I went overboard… and by that I mean I got a little too overzealous with red oxide. When I used the soap, the shower looked like a scene out of Psycho! So, use caution when adding colorants to your soap and follow the usage guidelines. Too much of any colorant – natural or synthetic – will have adverse affects on your soap. Coloring soap isn’t necessary, and isn’t the only way to make it stand out. However, it can be a lot of fun, and the possibilities are endless! Soap is a blank canvas. With a little imagination you can turn it into a original piece of art!